This list of the best movie monologues includes some big, big names and some even bigger films (some contemporary, others classic). What are some famous movie monologues? Some of the best, most famous monologues from movies involve high drama, remarkable acting and, of course, stellar writing. Many resulted in Academy Award nominations - some who uttered these lines took home Oscar gold. From rants to threats to intimate confessions, these film monologues represent the awe-inspiring, the inspirational, and the chilling. Want to be able to quote your favorite scene from your favorite movie? Not just a one-liner—the whole thing? Study this list and learn. This famous movie monologues list is an open list, meaning others can contribute. If you have a favorite film monologue or even a famous movie speech that isn't on the list, add it! Some are a minute, others are longer, but these are all great monologues, even including the one by Liam Neeson from Taken. If you're an actor looking for the perfect dramatic scene to memorize for your next audition, you'll definitely find some great, easy inspiration here. These speeches are great for men and are also great monologues for women, provided you've got the acting chops to pull them off. Take a good look at these popular, great movie monologues and find out if you can compete with the stars! 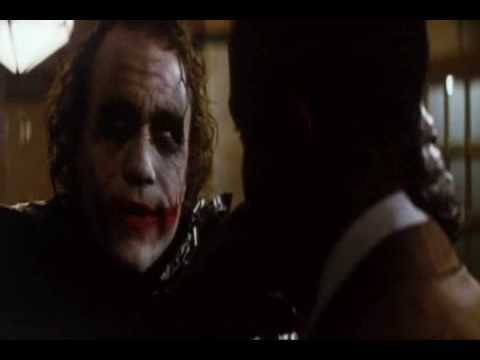 Wanna know how I got these scars?? ?........My father was a drinker....and a fiend..... So one night, he goes off crazier than usual. Mommy gets the kitchen knife to defend herself....He doesn't like that. Not....one....bit.....So,... me watching, he takes the knife to her, laughing while he does it. He looks at me.... and he says "Why so serious?! "....He comes at me with the knife......"Why so serious?!!"... "Let's put a smile on that face!!"......And...... (looks at other gangster) Why so serious? Is this the best speech? I'd hold you up to say to your mother, "this kid's gonna be the best kid in the world. This kid's gonna be somebody better than anybody I ever knew." And you grew up good and wonderful. It was great just watching you, every day was like a privilege. Then the time come for you to be your own man and take on the world, and you did. But somewhere along the line, you changed. You stopped being you. You let people stick a finger in your face and tell you you're no good. And when things got hard, you started looking for something to blame, like a big shadow. Let me tell you something you already know. The world ain't all sunshine and rainbows. It's a very mean and nasty place and I don't care how tough you are it will beat you to your knees and keep you there permanently if you let it. You, me, or nobody is gonna hit as hard as life. But it ain't about how hard ya hit. It's about how hard you can get it and keep moving forward. How much you can take and keep moving forward. That's how winning is done! Cause if you're willing to go through all the battling you got to go through to get where you want to get, who's got the right to stop you? I mean maybe some of you guys got something you never finished, something you really want to do, something you never said to someone, something... and you're told no, even after you paid your dues? Who's got the right to tell you that, who? Nobody! It's your right to listen to your gut, it ain't nobody's right to say no after you earned the right to be where you want to be and do what you want to do! Now if you know what you're worth then go out and get what you're worth. But ya gotta be willing to take the hits, and not pointing fingers saying you ain't where you wanna be because of him, or her, or anybody! Cowards do that and that ain't you! You're better than that! I'm always gonna love you no matter what. No matter what happens. You're my son and you're my blood. You're the best thing in my life. But until you start believing in yourself, ya ain't gonna have a life. 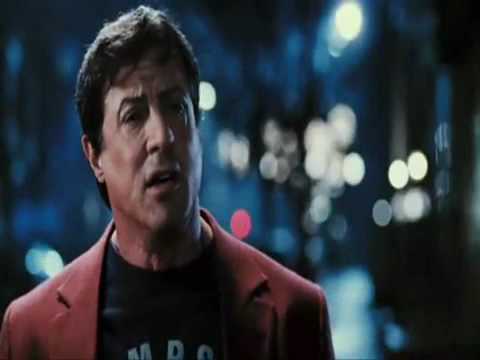 Rocky Balboa delivers this rousing speech to his son before his final fight in Rocky Balboa. 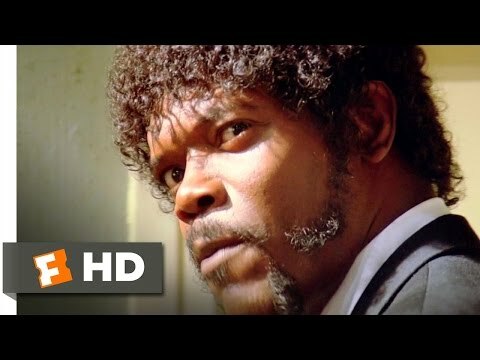 1994's Pulp Fiction is without a doubt one of the most quotable movies ever, but it's Samuel L. Jackson's "Ezekiel 25:17" monologue as contract killer Jules Winnfield that is the most memorable. Way to send a victim out! 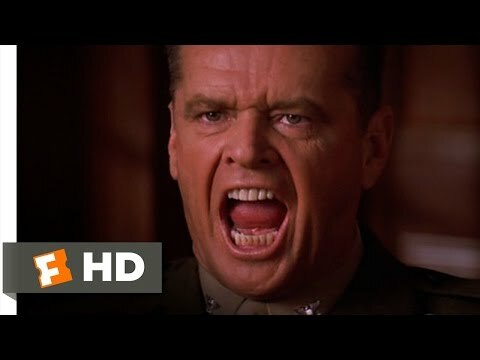 Jack Nicholson delivers an incredibly memorable monologue in 1992's A Few Good Men as Colonel Nathan R. Jessup. When he's asked by Lt. Daniel Kaffee (Tom Cruise) about ordering the so-called "code red," Jessup goes on one of the best courtroom tirades in movie history.